Corinne Olsen, born and raised on Long Island, New York, has always regarded herself as a rock star trapped in a classical musician’s body. She began playing violin in fifth grade in her public school music program and quickly discovered she would much rather play music people recognize than follow the classical repertoire. Luckily for Corinne, her studies and determination made her concertmaster of the Brookhaven Youth Orchestra, a year-round group whose performances ranged from concerts at Carnegie Hall and Stony Brook University’s Staller Center, to pit orchestra for the Nutcracker ballet and West Side Story (among other shows), to small chamber groups for private parties and events. As a result, Corinne learned a wide variety of music from Bach to The Beatles, and became a more versatile musician when she picked up the viola late in high school. After a full summer on viola at the New York State Summer School of the Arts’ School of Orchestral Studies, Corinne attended the Crane School of Music at SUNY Potsdam as a violin major and played viola in chamber ensembles. While at Crane she participated in a master class led by Pinchas Zukerman, performed at Carnegie Hall a second time, and traveled to Prague to take part in the Ameropa Chamber Music Festival. Upon graduation in 2005, with a Bachelor of Music, Violin Performance and minor in Music Business, Corinne spent a year at Five Towns College in Dix Hills, New York studying recording before moving to Los Angeles for graduate school. She received a Master of Music, Viola Performance from CSU Long Beach in 2009. 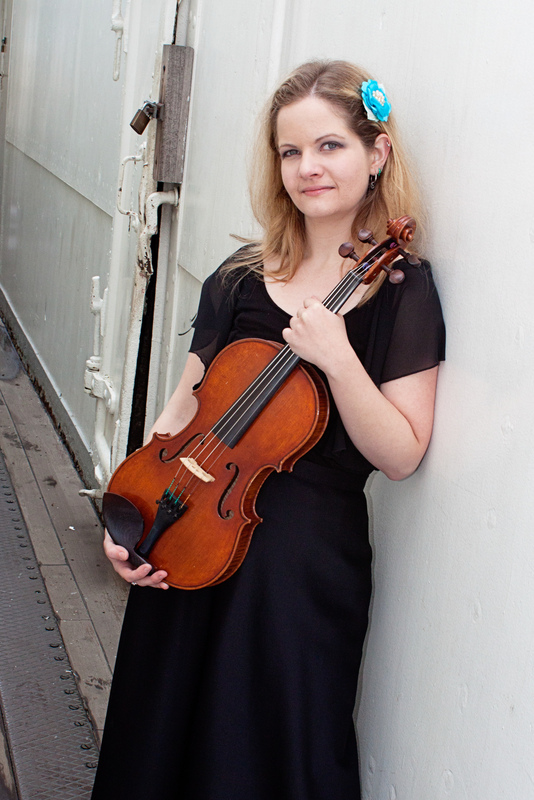 While in graduate school Corinne held leadership positions within the orchestra, was part of the University String Quartet, and participated in a master class led by Evan Wilson. Not long after graduation from Long Beach, Corinne joined the Golden State Pops Orchestra as a violinist and the live band for rock musician Avery Watts as violist. She also performs with Lady Low, Margot Lane, and Rex & the Lying Heir (all bands), tours with American Murder Song, and freelances with orchestras throughout southern California. Additionally, Corinne works as a string specialist and orchestra coach for high schools, middle schools, and youth ensembles. Corinne’s ultimate goals are to become a studio musician to play on as many soundtracks and film scores as possible, and to tour the world with rock and metal bands as the headbanging violist. Corinne plays a Wood Violins Viper and Acoustic-Electric 5 String and is proud to be an endorsed artist with D’Addario Orchestral.